Interaction between humans and their machines is understandably cold and one-sided – but what if your gadgets knew how you were feeling and responded appropriately? 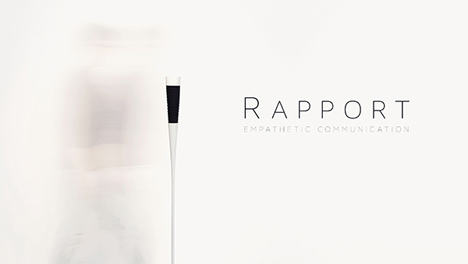 A music player designed by Joe Smith, Yeawon Choi, Yifei Chai, and Yuchang Chow called Rapport seeks to establish a more emotional connection between humans and machines. Rapport is a music player with the ability to read your emotions and play music based on how you feel and react. It begins when you make “eye” contact with the player, which looks like a periscope with its bottom stuck in a wood block. 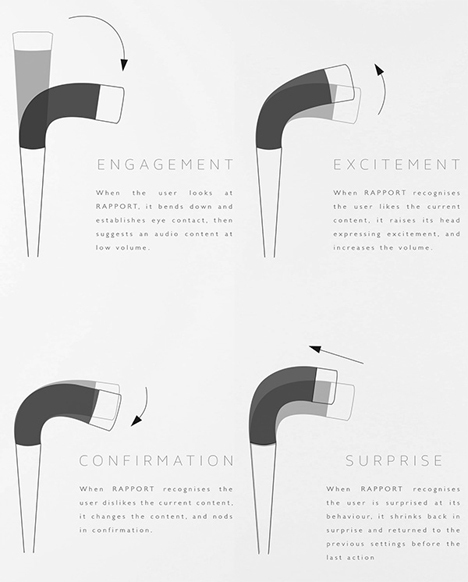 The Rapport leans forward to analyze your facial expression, then chooses a song that it deems appropriate for your mood and the time of day. The song begins to play at a low volume. If you display a positive reaction, such as a smile, the Rapport player increases the volume. If you express a negative reaction, the player switches to another song. And if you express surprise, the player recoils and returns to the setting it was on before it detected surprise. The project is an attempt to personalize our technology, to give us a deeper connection with the items we use every day. Although the exterior design is simple, the inner workings are complex. The Rapport includes a webcam, a computer, motors and cables. 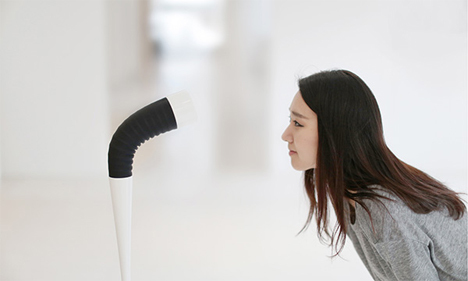 The device uses complex software to recognize and respond to facial expressions. The team behind the intriguing project say the technology could be used in an educational setting to recognize anxiety and help deliver encouragement to students. See more in Audio & TV or under Gadgets. February, 2014.